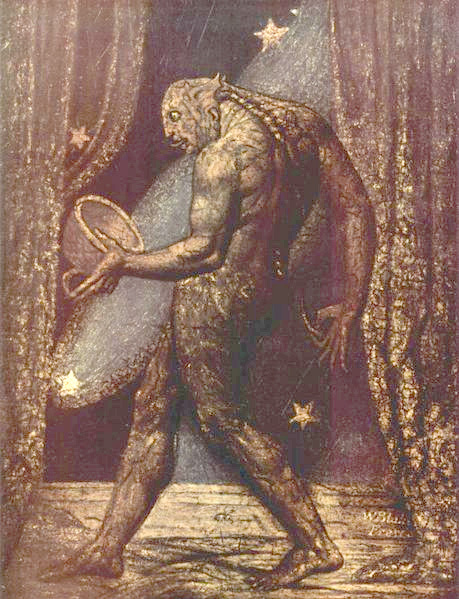 The Ancient of Days is a design by William Blake, originally published as the frontispiece to the 1794 work Europe a Prophecy. 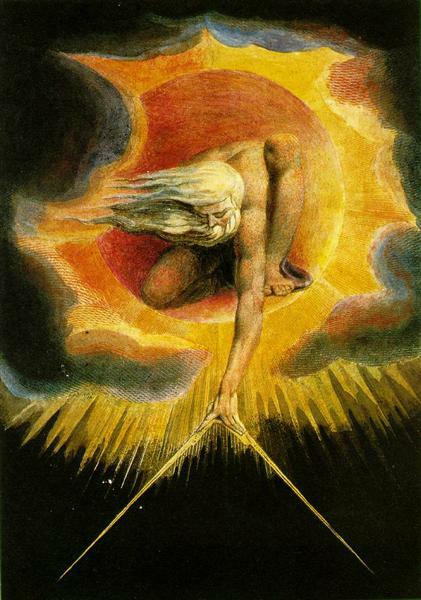 It draws its name from one of God's titles in the Book of Daniel and shows Urizen crouching in a circular design with a cloud-like background. 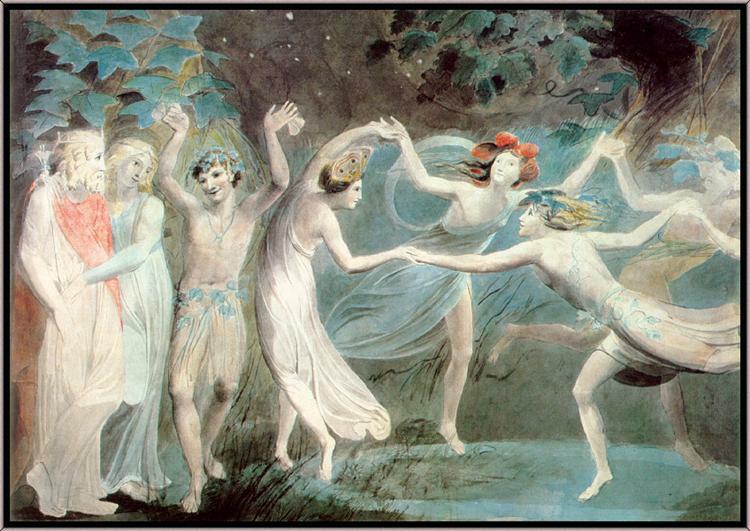 His outstretched hand holds a compass over the darker void below. 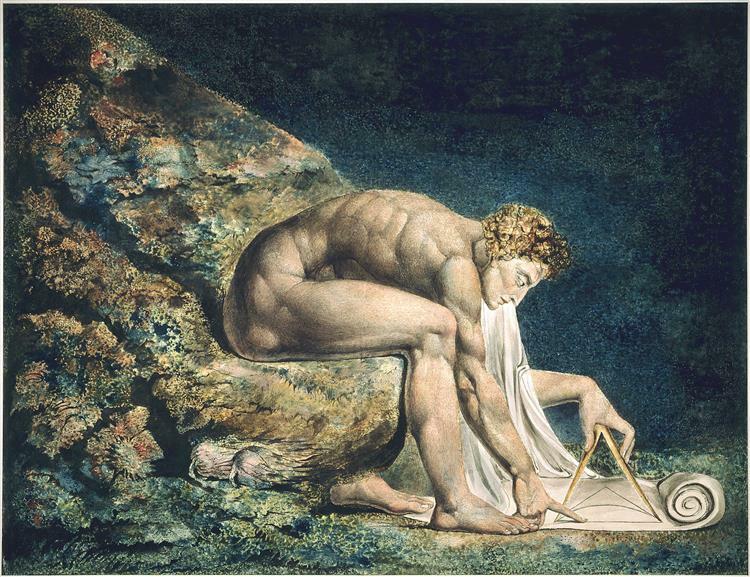 Related imagery appears in Blake's Newton, completed the next year. 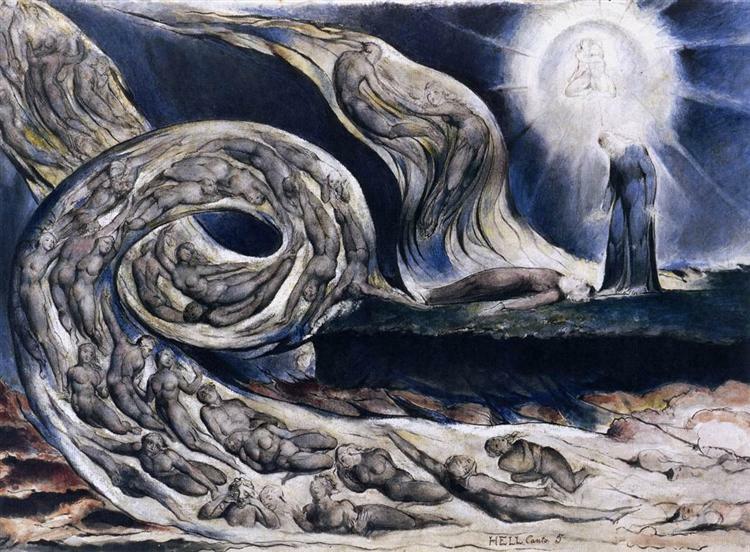 As noted in Gilchrist's Life of William Blake, the design of The Ancient of Days was "a singular favourite with Blake and as one it was always a happiness to him to copy." 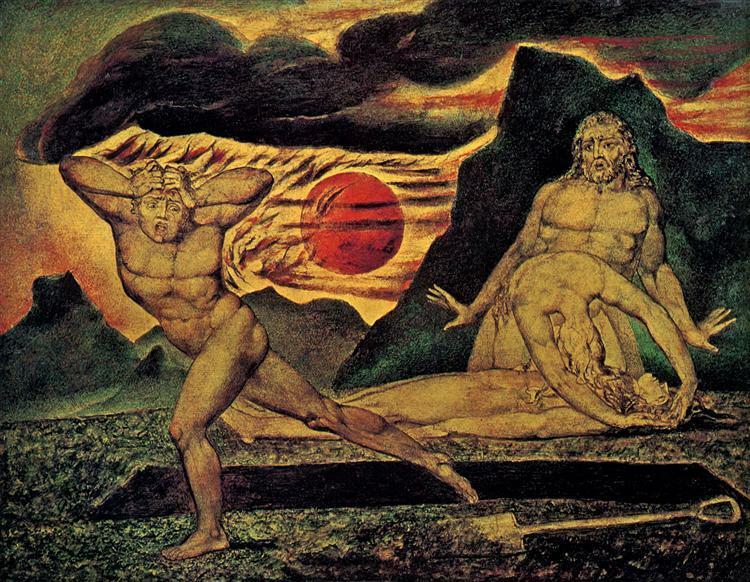 As such there are many versions of the work extant, including one completed for Frederick Tatham only weeks before Blake's death. 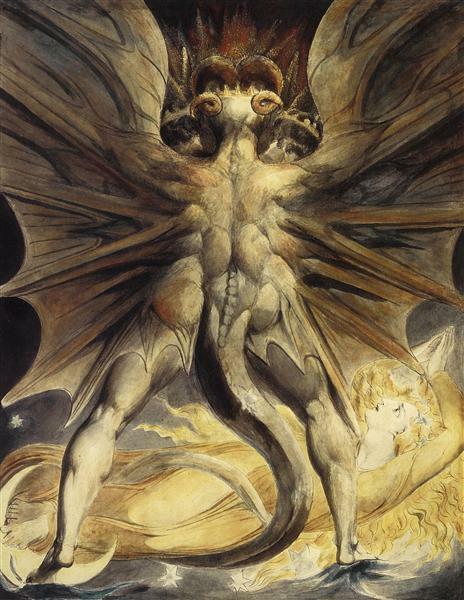 The British Museum notes that one copy, accessioned in 1885, was excluded from Martin Butlin's 1982 catalogue raisonné of Blake's paintings and drawings, suggesting the author doubted that attribution. The image was used as the cover for Stephen Hawking's book God Created the Integers.